Orpiment is an arsenic sulfide that grows in small masses with lemon-yellow to brownish-yellow coloring. Its name comes from a Latin term meaning "gold pigment," as this mineral was once used to make yellow paint. This gem is photosensitive and should not be exposed to light for prolonged periods. OTL RI, SG and extreme fire. This stone contains arsenic and special care needs to be used. Always wash your hands after handling. 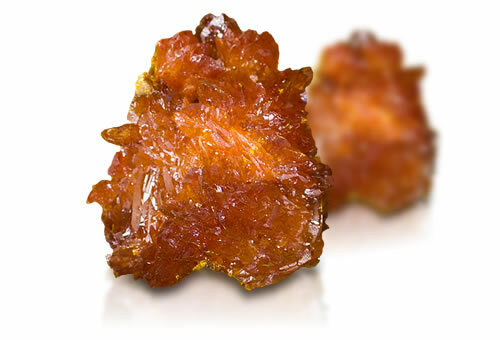 Orpiment is usually found as a fibrous aggregate.